Philip Michael Thomas has been involved in many projects since Miami Vice. In 1991 he starred with Bud Spencer in a six part mini series titled Extra Large that was filmed on location for seven months in Miami. 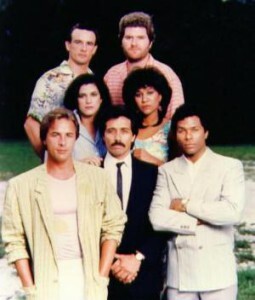 In 1995 and 1996 he starred in another six part mini series We Are Angels with Bud Spencer in Costa Rica. The series was syndicated in Europe and South Americia. In 1999 he Co-wrote a family musical title Sacha and the Magic Cookie Maker with Sandi Morais. The play has been produced eight times. Over the years of re-writing and re-structuring the name of the play was changed to Sacha on Broadway. Click on the Sacha button and read about Philip Michael Thomas’ wonderful co-creation of an inspiring and empowering musical. Philip also composed and co-wrote most of the music for Sacha. His compositions and lyrics from Sacha has touched the hearts of many people who have seen the play over the years. Philip and Sandi also wrote a children’s coloring story book titled Sacha and the Magic Cookie Maker. In 2001 Philip went on a National tour with the play Mamma Dees Girls playing the role of Steamboat with a cast that included Jennifer Holliday, Ali Woodson and Charlie Wilson. In 2002 he starred in the movie Fate with Lee Majors and Michael Pere. The movie can be seen currently on DVD. In 2002 Philip created the character of Lance Vance for the number one video game Grand Thief Auto/ Vice City. In 2005 Philip and Sandi opened Sacha on Broadway in New York City at the Theater of the Riverside Church. In 2006 Philip continued with the character Lance Vance again for the video game Grand Thief Auto and he also starred in icons of the 80’s Trivial Pursuit with Cyndi Lauper, Kareem Abdul-Jabaar, Downtown Julie Brown, Kelly LeBrock, Charlotte Rae and DMC. As a health enthusiast Philip has also been involved in health related projects. The Golden Workout Company produced Sandi Morais’ 30 min. high-energyTune-Up DVD workout and Philip produced the seven exciting music tracks for the workout. Also featured on the Tune-Up DVD is a special bonus with Philip singing My, My, My Miami a song he co-wrote with Kathy Rahill that became the official city anthem of Miami in 1994. 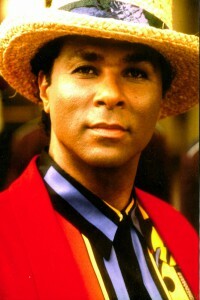 Philip Michael Thomas (Co-writer, Executive producer) was born May 26, 1949 in Columbus, Ohio. 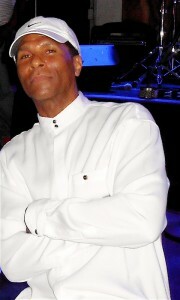 He is a 1967 graduate from San Bernardino High School in California. He attended Oakwood College in Huntsville, Alabama, UC Riverside and UC Berkley. Mr. Thomas received the degree of Doctor of Arts (Honoris Causa) from Shaw University in 1997 for his contribution to the arts. He has been writing children’s music and lyrics for over forty-years. In 1996 he co-produced “We are the children of the world” (A children’s television show with puppets and music in Spanish and English in Costa Rica. From the first time Philip won his first talent show as a boy of eleven years old singing Rockin Robin, music has been the medium that most captivated his heart and soul. It was also music that helped to raise his spirit as a youth minister and led him to his first professional theatrical performance in the 1969 San Francisco production of the Rock Musical Hair. Philip starred as Hud and Burger for eighteen months at and the Geary and Orpheum theaters. In 1971 Philip and Ben Vereen were in the San Francisco cast of Charles Gordone’s Pulitzer Prize-winning play, No Place To Be Somebody and in November 1971 Philip went on to finally make a dream come true when he starred on Broadway in New York City, as Gabe Gabriel with Terry Alexander as Johnny at the Morasco Theater. He also co-starred in The Selling of the President on Broadway in 1972 with veteran Broadway actors Pat Hingle and Barbara Berry. 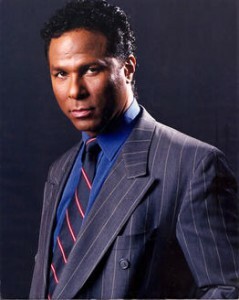 In 1980 he starred with Calvin Lochart and Cheryl Lee Ralph in Reggae on Broadway. In 2001 Philip went on a national tour starring in Dr. Karen Ward’s play titled Mamma Dee’s Girls with Jennifer Holliday. Music has always been a big part of Philip’s career. 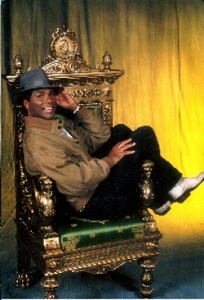 He released his first album Living The Book of My Life on his Spaceship/Atlantic record label in 1986. He teamed up with music legends Ashford & Simpson to produce his second album titled Somebody. The album was released on Spaceship/Atlantic Records in 1988. Philip was cast in the Debbie Allen Special as a choreographer with Ms. Allen for her television special, and he sang the sophisticated tune Falling from his Somebody Album. Philip and Kathy Rayhill composed My, My, My, My AM… I. The song was adopted as the Miami City anthem in 1994. He co-hosted the television special Celebrate the Soul of America with Dionne Warwick and Dianne Carrol as well as the Motown Christmas Special with Smokey Robinson. Philip co-starred in two Italian mini-series Extra Large and We are Angels with Bud Spencer, and several of his songs were featured in the soundtrack. He co-produced and starred in the Spanish independent film,Mistaken Woman, and he also sang the title track. In 2001 Philip produced the music for Sandi’s Golden Workout DVD, and in 2006 he produced the music for her Tune-up DVD workout. Philip starred as Dr. Calvin Cross in Stigma which was his first motion picture release in 1972 and he also starred in eleven other motion pictures including Book of Numbers with Raymond St. Jacques and Freda Payne (1973) and Sparkle (1976) starring as Stix opposite Irene Cara. It is the film’s timeless sound track by Curtis Mayfield that equally makes this film a classic especially when Philip and Irene sing the duet Look into your heart. Philip went on to guest star in over forty television shows such as, Starsky & Hutch, Good Times, Trapper John M.D., Wonder Woman, Police Woman, Toma and Roots, the Next Generation. In 1979 Philip went on to star in the ABC movie The Wack Attack/Death Drug, which earned him his first Emmy Award nomination. Philip gained international recognition in 1984 for his starring role as Ricardo Tubbs on the Emmy Award-winning television series Miami Vice. He won the 1985 and 1986 NAACP Image Award for best performance by an actor, dramatic mini series or television movie. After Miami Vice he went on to star with Leslie Ann Warren in the movie Fight for Jenny. Philip also starred in the NBC movie False Witness with Phylicia Rashad, and guest-starred with Lauren Bacall in England’s A Little Piece of Sunshine. Philip was a special guest star in television series Superboy that was filmed in Orlando and he also guest starred inZorro filmed in Spain. In 1990 Philip hosted Treasure for Bill Burred Productions on the travel channel. Philip is a 1986 recipient of the CEBA Award and a GOLDEN GLOBE Award. The charitable organizations that he is involved with include the Variety Club, Big Brothers/Big Sisters, The Black Heritage Museum and M.A.A.D. Philip owned and operated Spaceship Recording Studio and the Miami Way Theater in North Miami, Florida for fifteen years, where he produced musicals, puppet shows, dramatic plays, recorded albums, commercials and produced film festivals and Amateur Night. In 2001 Philip was Artist-in-Residence at Hampton University and Sacha and the magic Cookie Maker was produced as Hampton’s end of the year theatrical production. Philip is co-writer and composer of Sacha on Broadway.